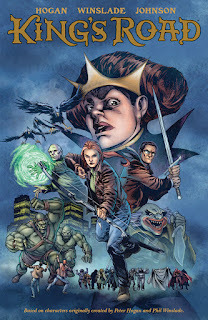 Moving from the pages of comics’ greatest anthology, Dark Horse Presents, Peter Hogan (Resident Alien, Sandman Presents, The Dreaming) returns to fantasy to deliver a three-issue miniseries of King’s Road. Artist Staz Johnson (Judge Dredd) and colorist Douglas Sirois (The 7th Sword) join Hogan to continue this tale of a family on the run from magical, other-dimensional monsters. 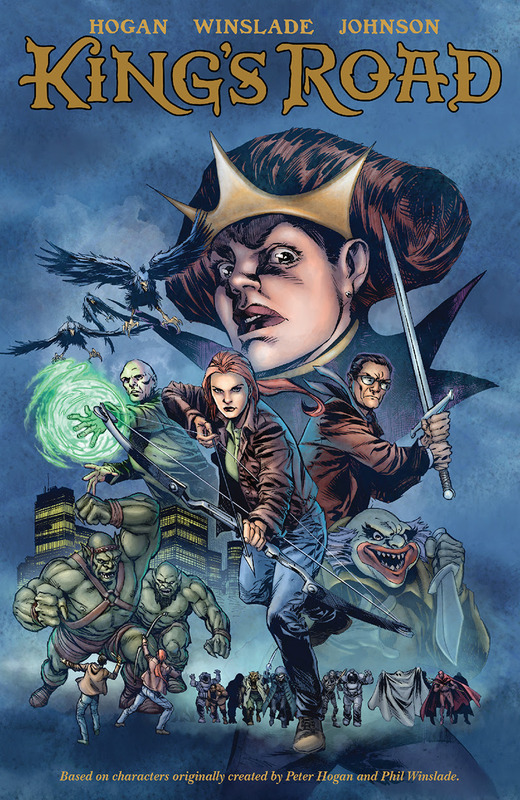 The series kicks off with a forty-eight-page special that includes all King’s Road chapters from Dark Horse Presents by Peter Hogan and Phil Winslade—and an additional issue’s worth of story drawn by the new King’s Road art team!